International Solidarity Movement volunteers today expressed grave concern over the fate of wounded, imprisoned and missing flotilla activists. The group said, with an information blackout from Israel preventing news of their plight reaching the media, speculation is mounting about the Internationals’ safety. Theresa MacDermott (Scotland) Ewa Jasiewicz (Britain/Poland) and Caoimhe Butterly (Ireland) along with hundreds of other civilian passengers have not been heard from since before the Israeli attack on Monday morning. Israel has today refused Free Gaza lawyers permission to make contact with the human Rights defenders. “We call on the EU member States to fulfil their obligation to protect the safety of human rights defenders. 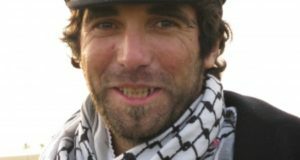 We demand that Israel allows access to the injured and imprisoned immediately.” added Vittorio Arrigoni (Italy) who was himself injured by Israeli gunboats in 2008. ISMers and former flotilla passengers Eva Bartlett (Canada) and Alberto Arce (Spain) are also waiting to hear from their missing colleagues. 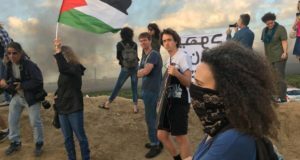 “All of us are nonviolent activists who have personally come under fire from Israeli forces, and several of us have been wounded or detained. It is common for Israeli forces to open fire with live rounds on unarmed civilians, both Palestinian and Internationals.” said Eva, from Gaza. Human rights defenders in Gaza are attacked on a daily basis. Amongst them are Bianca Zammit (Malta), who was shot while accompanying farming families in Gaza on April 25th, 2010 and Adie Mormech (England),who was kidnapped and imprisoned after the FreeGaza boat The Spirit of Humanity was forcibly boarded by Israel on June 30, 2009. All the ISMers mentioned in this release are available now for comment. Ewa Jaciezicz is a freelance journalist. She and Caoimhe Butterly have trained as First Responder Medics. Theresa MacDermott is a postal worker. Alongside flotilla passengers Caoimhe and Ewa, Eva Bartlett, Sharyn Lock, Alberto Arce, and Vittorio Arrigoni worked daily with Palestinian medics during Israel’s Operation Cast Lead, with Eva and Alberto filming the shooting by an Israeli sniper of medic Hassan as he tried to retrieve a body. The footage taken by Alberto and Mohammed Rujailah became their award-winning film “To Shoot an Elephant” Alongside flotilla passenger Theresa MacDermott in 2008, Vittorio Arrigoni, Eva Bartlett, and Sharyn Lock came under regular fire as they accompanied unarmed Gaza fishermen, who are often shot at not only within three miles of the Gaza shore, but actually on the beach. Bianca Zammit received a gunshot to the thigh when Israeli soldiers fired on farming families, Gaza, 2010. Vittorio Arrigoni required ten stitches after Israeli gunboats attacked the fishing boats he was accompanying, Gaza sea 2008. Caoimhe Butterly recieved a gunshot to the thigh while rescuing Palestinian children, West Bank 2002. 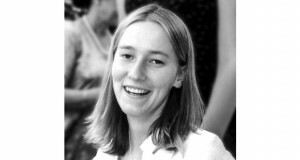 Sharyn Lock was shot in the stomach from an Israeli armoured personel carrier while walking backwards with her hands in the air, one of ten internationals injured, West Bank 2002. Israeli soldiers fire live ammunition at unarmed civilians, farmers and activists without any inhibition. On the day they shot me soldiers were shooting aggressively at the demonstrators. It was clear they had a policy of at least “shooting to injure”. I was filming and documenting when the bullet struck my leg. For me this was a clear message that Israeli soldiers do not hesitate to shoot at internationals but also that they feel threatened by our work.